Parking was a hot topic in local politics during 2017. Some citizens feel they can never park their cars close enough to their destination. Frustrated residents of dense neighborhoods feel they don’t have enough on-street space to park their cars. Small business owners feel that they need more parking to attract clients. 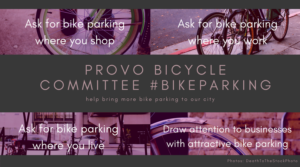 Provo has taken a step in the right direction by hiring Matthew Taylor as the city’s parking administrator to help solve these issues. 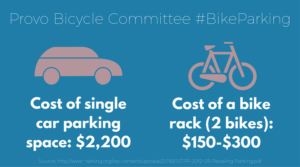 Instead of debating these points, we’d like to point out that bicycle parking costs much less than car parking. By choosing to ride, we decrease the need for more car parking spaces. 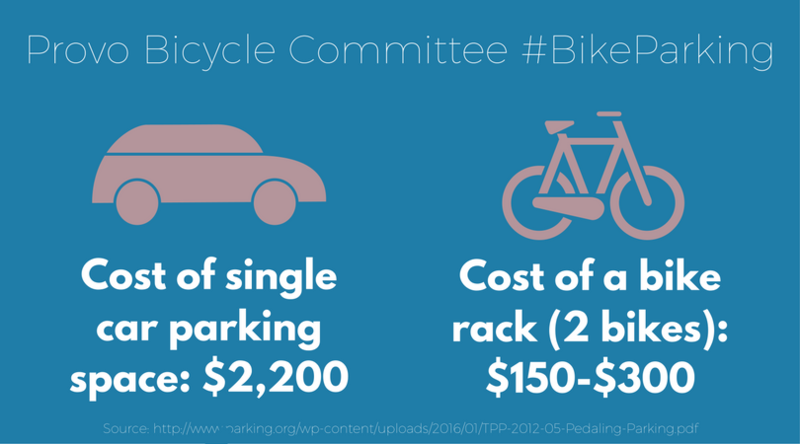 This means businesses and governments can spend less on parking. What does this mean for you? Lower prices at the grocery store, lower tuition cost, lower taxes; etc. 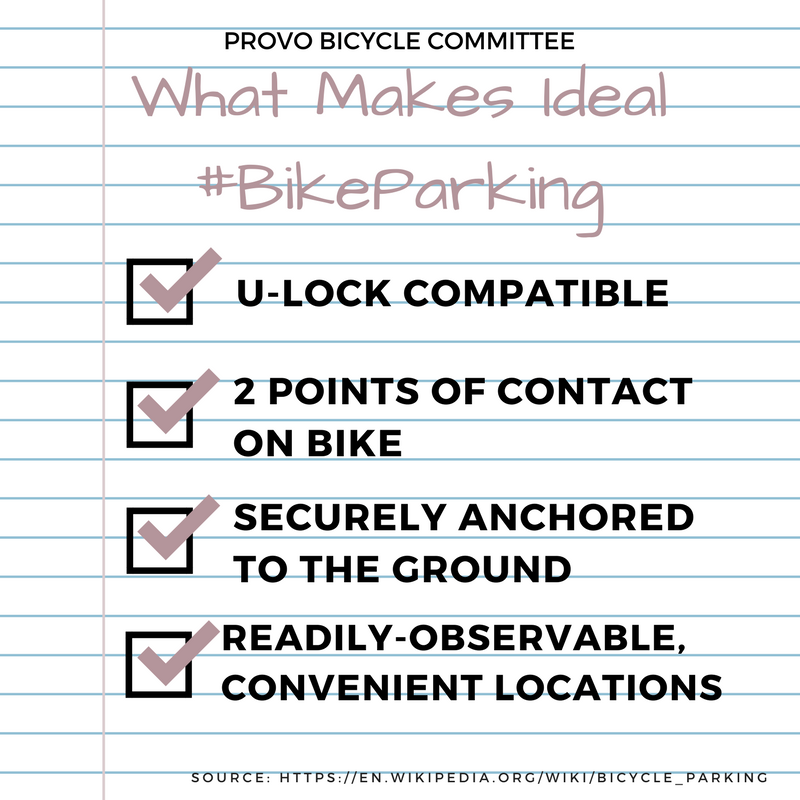 As demand for bike parking increases, organizations will have to invest in quality bike parking. 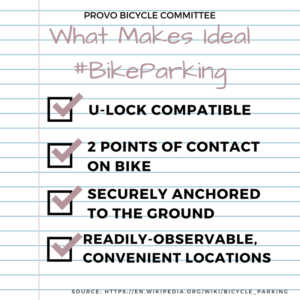 What makes ideal bike parking? Along with a trusted lock, good bike parking keeps your bike safe. Ask for bike parking where you shop. Ask for bike parking where you work. 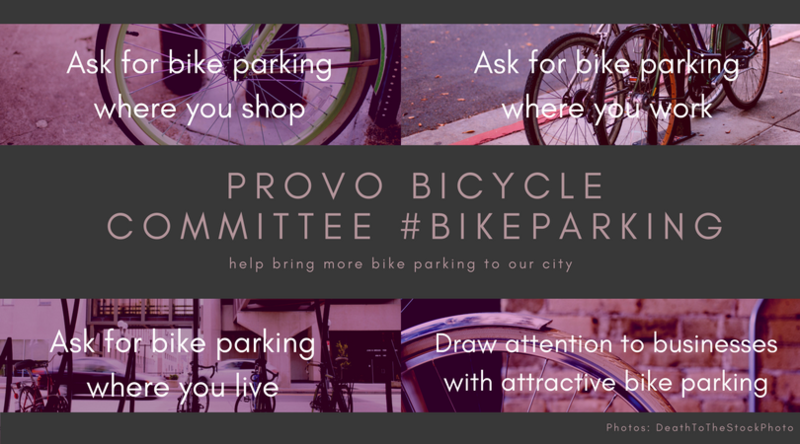 Ask for bike parking where you live. Draw attention to businesses with attractive bike parking.